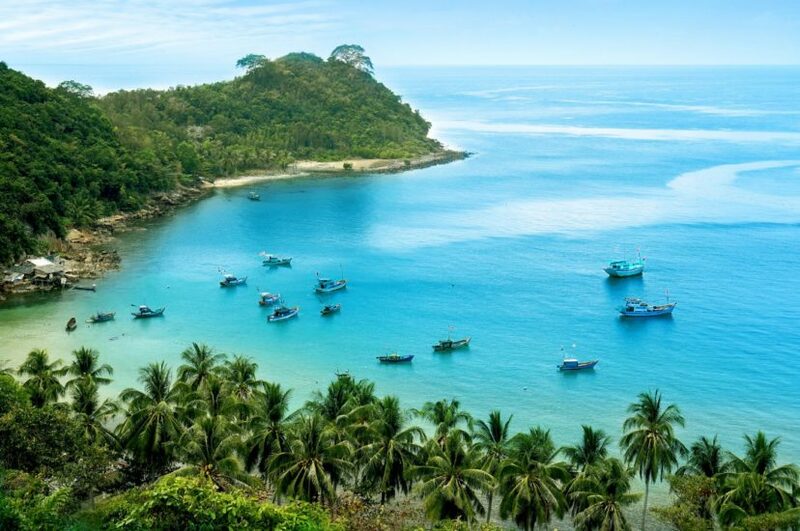 Once voted by CN Traveler as one of top 10 most pristine and quiet beaches in the world, Phu Quoc Island has long been an ideal destination for summer visitors. The blue color of the sea and sky, yellow color of the sun and friendly smiles of local people easily make anyone feel so mesmerizing. 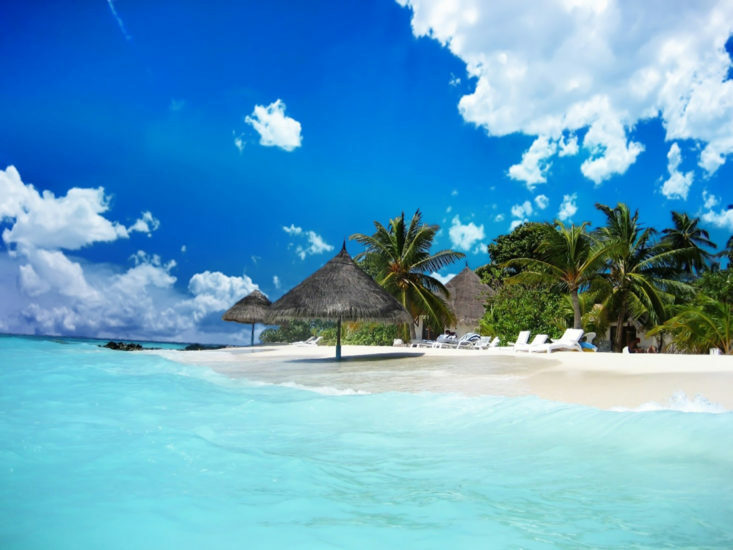 Phu Quoc owns many beautiful beaches such as Sao Beach, Dai beach with abundant seafood such as prawn, herring, crab … suitable for groups and families who need rest and relax. 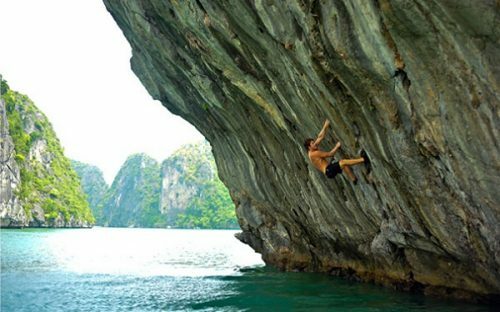 Arrive at Phu Quoc, travelers have chance to experience squid fishing at night, watching the coral reef, watching sunrise, sunset… All of those activities surely would make unforgettable impression to everyone coming to Vietnam. Con Dao is another option for those who want to seek the peace of nature and experience meaningful activities at the same time. 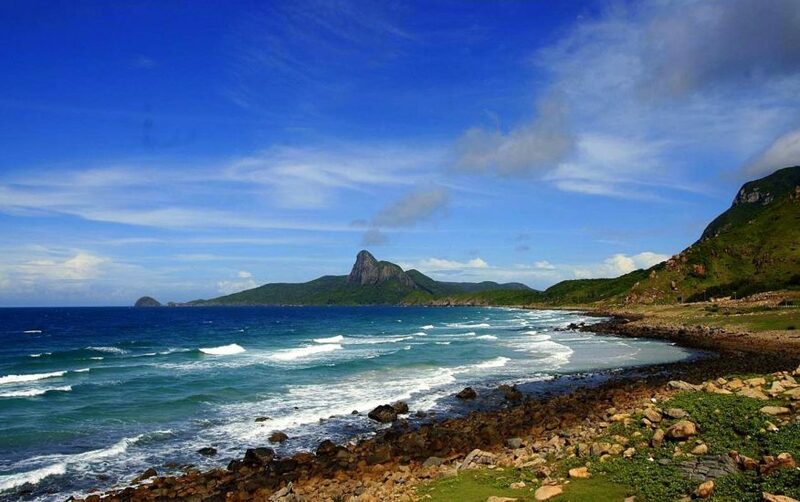 Dubbed as “paradise resort”, Con Dao Resort captured the hearts of visitors by beautiful sceneries, mild weather throughout the year. This island is small enough for you to stroll or ride around freely between white sand, blue sea and the hillside possessing primeval forest and diverse creatures. Con Dao people believe that the beauty of nature and intense vitality of life on this land is an invaluable gift that nature offers them. 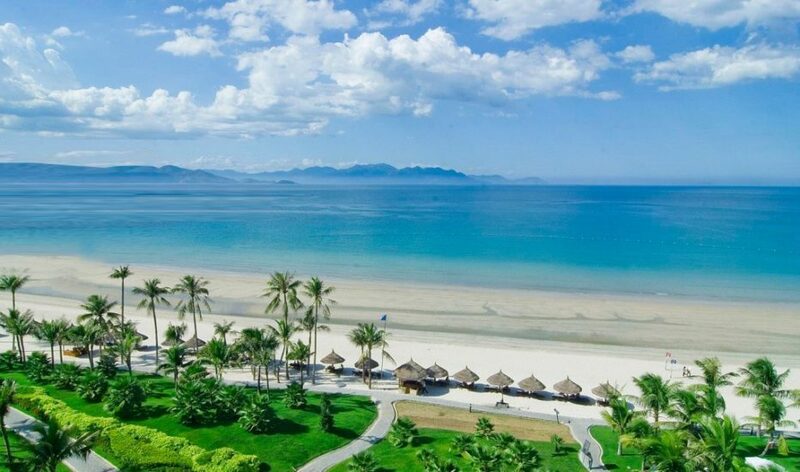 Being one of the leading destinations in Vietnam beach tourism, Phan Thiet own many beautiful beaches, golden sand hills along with modern infrastructure system of resorts, luxurious hotels from 3 to 5 stars. 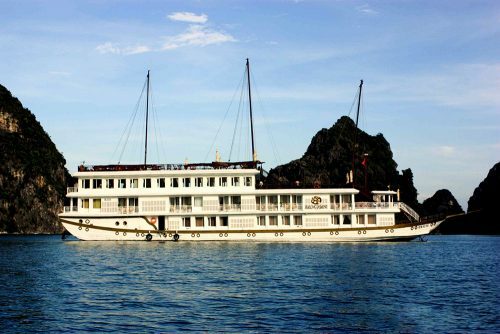 In recent years, Phan Thiet has attracted a large number of visitors because of its convenient transportation, reasonable expenses, suitable for the whole family holiday. 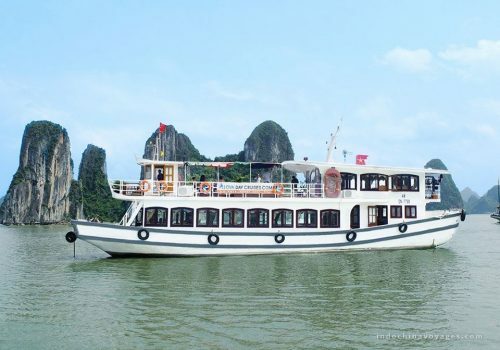 Coming to Phan Thiet, do not forget to visit Bau Sen, Bau Cat, Hon Rom, or Wine Castle, where is famous for fine wine… They are noteworthy destination for tourist to enjoy summer. Going to the beach is a smart choice in this summer for holiday. 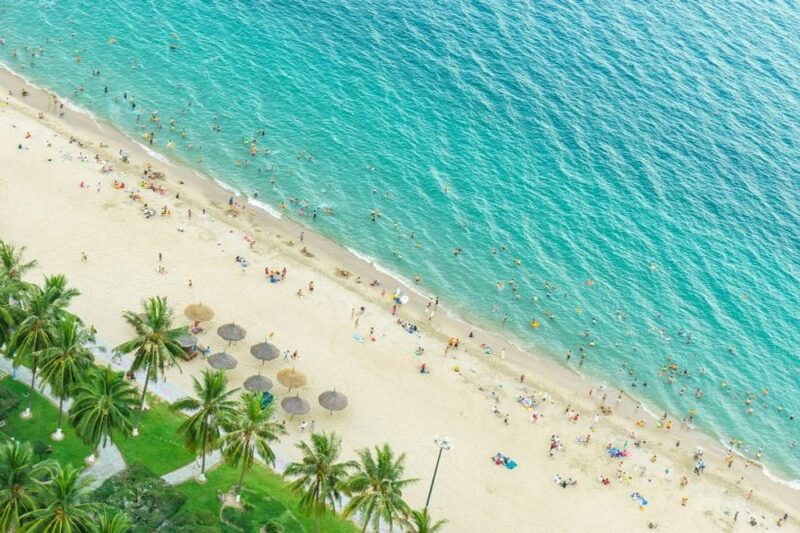 If you know right information about beach tourism in the whole Vietnam, you will be surprised by pretty beaches with fresh cool water, sunny weather, blue sky,… Top 5 beaches above is some advice for you.